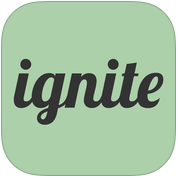 Ignite Teaching is a free mobile app and web app that students can use to collaborate on the development of multimedia projects. It became fairly popular a couple of years ago, but apparently not popular enough as it is shutting down next week. In an email that the company sent out yesterday they announced that on August 1st the Ignite Teaching mobile apps and website will be taken down. Some tools that provide services similar to Ignite Teaching include SeeSaw, Edmodo, Otus, and Google Classroom.